Thrilling, exhilarating, haunting and heartbreaking, The Here and Now is a twenty-first-century take of an impossible romance. Never reveal where you’re from. Never be intimate with anyone outside the community. And never interfere with history. Seventeen-year-old Prenna James emigrated to New York when she was twelve. But Prenna didn't come from a different country, she came from a different time - a future where a mosquito-borne illness has mutated into a pandemic, killing millions and leaving the world in ruins. Prenna and the others who escaped to the present day must follow a strict set of rules. Prenna does as she's told, believing she can help prevent the plague that will one day ravage the earth and take the lives of her younger brothers. But everything changes when she falls for Ethan. She might be able to save the world ... if she lets go of the one thing she's found to hold on to. The Sisterhood of The Travelling Pants series are some of my favourite literary gems from before I started blogging and the movies (including a third in the making!) are some of my most favourite ones to watch with my friends when we marathon fun, girly films. So taking all this into account, I was so excited to start what Ann Brashares had written next - and considering it was a time-travelling novel - it looked like it was exactly perfect for what I love to read. Prenna, the narrator and our main character, is a seventeen-year-old normal girl. Except when she was twelve, she emigrated to New York . . . from the future. In her future, Prenna's time had become deadly. A mosquito-borne illness had become extremely deadly, spreading like wildfire, killing millions of people, leaving her time in great danger. Not everyone could escape from the future, but those who did into the present day banded together, following a set list of rules not to be broken, including never revealing where they are from and they can never interfere with history, let alone be involved intimately with anyone outside their community. This gave an intense, dramatic feel to the book and even though I hadn't really connected with Prenna at this point, I still loved the uniqueness of the futuristic world Ann had created. As the novel grows, we start to see the romantic connection between Prenna and Ethan who have a sort of prior history to their actual first meeting. Still, Prenna does as she's told by the community believing she can make a difference to the world. But with Ethan, it complicates things for her and the choices she thought she had already made to save the world she loves. It's a tragic love between them and was very much a wrong place, wrong time and forbidden type of romance that's as exciting as it was moving and saddening. I didn't connect with Prenna until near the end where I could see many sides of her and completely understand her character, but when I did, I really saw how much her character had developed and that's a thing I love about novels like this. 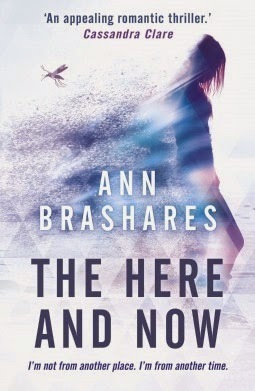 Equal parts drama, romance and time-travel, The Here And Now was an absorbing, Sci-Fi novel that even though it was short at under 300 pages, was engaging and fateful simultaneously. 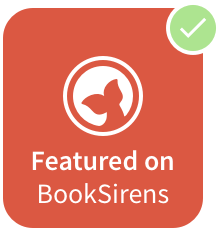 For anyone who has read Ann's previous writing and loves the way she creates memorable characters and plots, this is definitely for you. Fans of Ann's Sisterhood series and for Sci-Fi fans looking for a sweet and memorable quick read. What did you think of The Here And Now? Did you think it lived up her Sisterhood series?